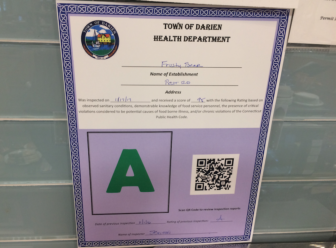 One Darien restaurant received a “C” rating, the worst in the town A-B-C ratings system, in the most recently released town Health Department inspection reports. 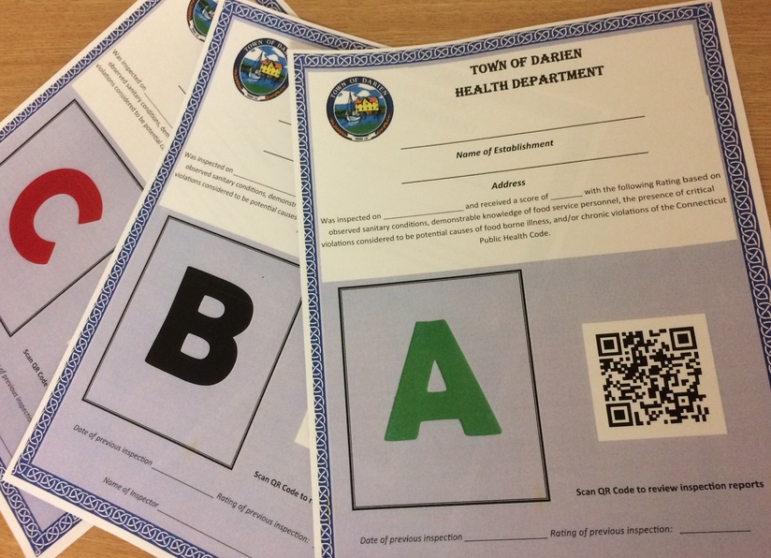 One other health inspection report was released on Thursday by the department. The town rating for that establishment was “A.” The inspections took place on Aug. 24 and 30. 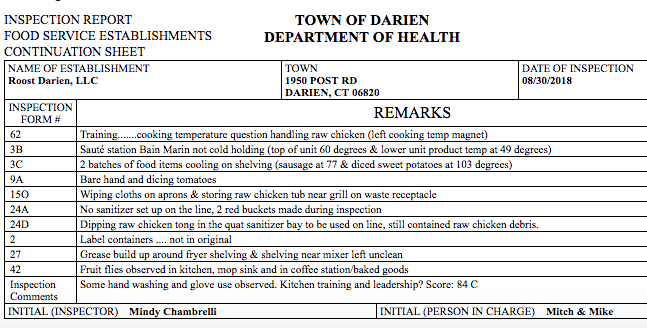 Inspector’s remarks and comments part of the Aug. 30 inspection report for Roost.